Articles focusing on the Mediteranean and Western Calendar Systems as it relates to the birth year of Christ. An interesting adventure. 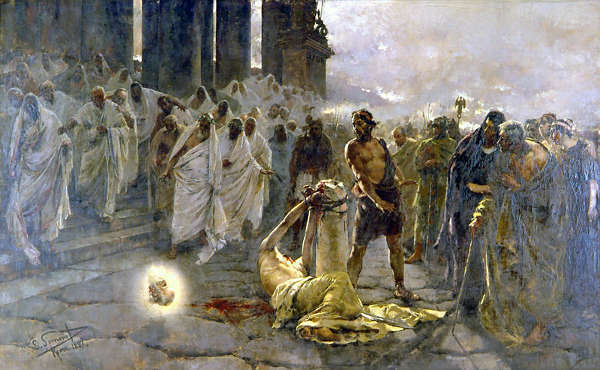 Paul was executed in 51 AD under the rule of Nero according to the third-century Christian author, Ammonius of Alexandria, and two other writers. A deeper look into this text and a translation. Ammonius was trying to dispel a misunderstanding of the Herod dynasty about the timelines of Christ and Paul. Both are interesting but the history he ascribes to Paul is especially intriguing. By doing so, he gave the above information. Few know about Ammonius, and less about his writings. Ammonius lived in Alexandria and was a noted Biblical scholar.1 Unfortunately, only remnants of his writings are available today. An interesting person along with important historical texts. His persona beckons an English translation so that his contribution is more widely known. So, this is what the rest of this article intends to do. The following translation has a little crossover of John Chrysostom and some influence by the eleventh century writer, Theophylacti of Bulgaria. It appears from a very informal look that most of this is penned by the hand of Ammonius. The Venerable Bede on reconciling ancient calendars and how he thought our 2 B.C. should really be 1 A.D.
Bede convincingly argued that our present 1 A.D. was incorrect by three years. He uncovers the fuzzy Church logic between 550 and 650 A.D. that made this error and subsequently has caused calendar headaches ever since. 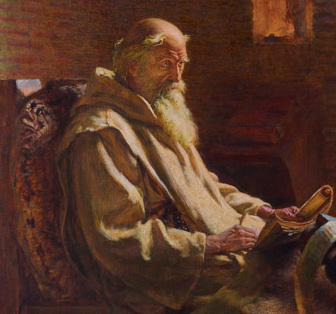 The Venerable Bede was an eighth century monk who made a decisive effort to collect all the calendar systems he knew about, whether historic or contemporary to his time, and reconcile them into one dating system. This endeavour sounds easy by today’s standards, but was a massive undertaking during his time. If any discussion revolves around the development of the yearly calendar system, his writings should be consulted. This study focuses on his works as it relates to Christ’s birth but other pertinent dates fall in as well. How did he arrive at this conclusion? He did it through comparing different calendar systems and then developing two new time systems – one of them closely parallels the A.D. system in use today. De Temporibus Liber and De Temporum Ratione. Bede greatly pondered about time systems and wrote two books on the subject: De Temporibus Liber which is known in English as the The Book of Times and De Temporum Ratione, On the Reckoning of Time. Explaining the ancient Greek Olympiad system and its importance to the birth of Christ. A condensed version of the years the Herod family members ruled. Dionsyius Exiguus and his work which is credited for the beginnings of the AD Calendar. A historical overview of time calendars and how it makes it difficult to date the birth of Christ.